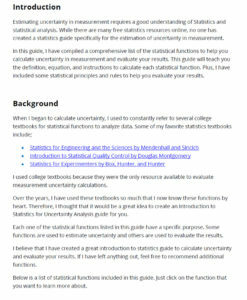 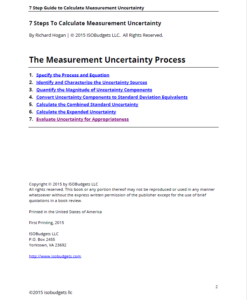 Learn how to calculate uncertainty using the GUM method in 7 easy steps with this 14 page guide. 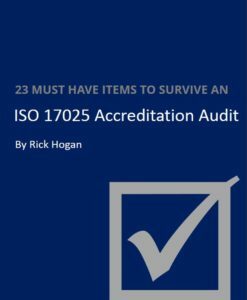 Great for ISO/IEC 17025 accreditation! 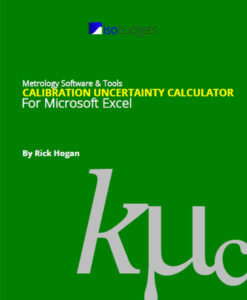 Quickly and easily calculate calibration uncertainty using this uncertainty calculator for Microsoft Excel. 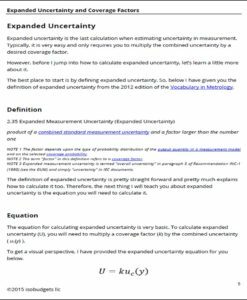 Easily calculate uncertainty in measurement for test and calibration results using this uncertainty calculator for Microsoft Excel. 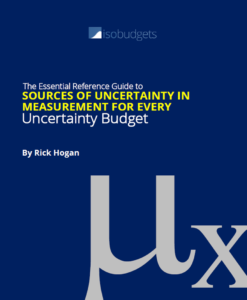 Learn the 8 Sources of Uncertainty in Measurement that should be in EVERY Uncertainty Budget. 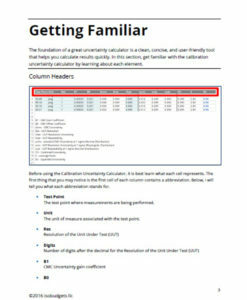 This 27 page guide will teach you how to calculate them all with procedures, diagrams, and pictures. 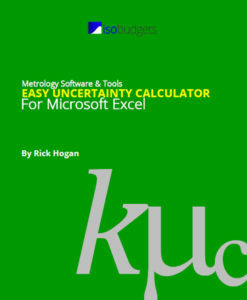 Plus, all Microsoft Excel functions are included. Quickly find your coverage factors to calculate uncertainty using this Microsoft Excel calculator and custom Student's T Table. A must-have 17 page guide on Expanded Uncertainty and Coverage Factors for calculating uncertainty in measurement. 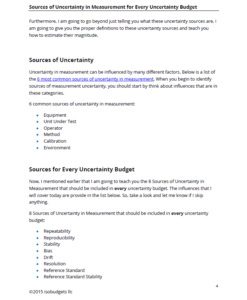 The Ultimate Guide to preparing for an ISO/IEC 17025 audit! 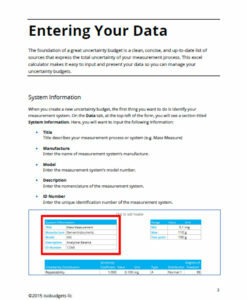 Plus, an audit checklist is included. 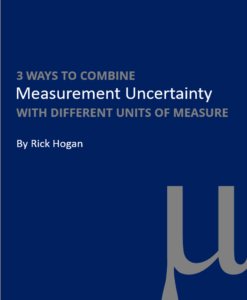 Learn how to calculate combined uncertainty using sensitivity coefficients, fractional uncertainty, and mathematical simulation. 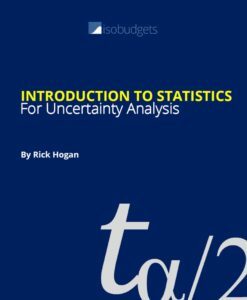 A Guide to the Introduction to Statistics for Uncertainty Analysis with 23 statistical functions.